A drag force is the resistance force caused by the motion of a body through a fluid, such as water or air. 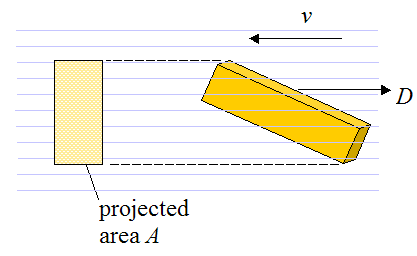 A drag force acts opposite to the direction of the oncoming flow velocity. This is the relative velocity between the body and the fluid. To see an example of a problem that involves drag, go to The physics of skydiving.